First a little background: a Roux-en-y gastric bypass surgery is when you cut out 90% of the stomach. You chop the small intestine in half, and staple it to the bottom of your esophagus. So, instead of swallowing food into your stomach, and then out through your intestines, this whole region is cut out of the loop. The stomach is bypassed; the food just kinda goes straight down into the little pouch, which is a little chunk of what used to be top of the stomach. So you can only eat like a thumbful of food at a time. Your entire meal is a quarter cup, or otherwise you’re in trouble. A cautionary tale to be sure, but less about chewing food better after surgery than about chewing better foods before—so you can keep all your internal organs intact. Gibbs KE. The dangers of broccoli. Surg Obes Relat Dis. 2010 Jul-Aug;6(4):439-40. Images thanks to Michael Pollan, and to Andrzej 22 and Evan-Amos via Wikimedia Commons. Republishing "The Dangers of Broccoli?" Reminds me of the story of that weight loss drug with the embarrassing side effects (in my video Milk Protein vs. Soy Protein). Whether the risks of surgery outweigh the risks of obesity may not be relevant, since there is a third option: lifelong adherence to a healthy diet. Check out my other videos on obesity. For further context, be sure to check out my associated blog post, The Best Detox. Reminds me of the story of that weight loss drug with the embarrassing side effects (in my video Milk Protein vs. Soy Protein). Whether the risks of surgery outweigh the risks of obesity may not be relevant, since there is a third option, life-long adherence to a healthy diet. See my 25 videos on obesity and hundreds of other videos on more than a thousand subjects. Ouch. Some of your readers no longer have our organs intact. No need to mock. Tonight, I found your site and watched many of your previous videos. In past videos, you talk about coconut oil and coconut milk, but I have a question about coconut water. I have seen several health experts talk about the benefits of coconut water that comes straight from a young Thai coconut. However, I have read conflicting information about the coconut water one can get in packages (such as Vita CoCo). Obviously packaged coconut water is pasteurized and not as good as fresh, so from that perspective it isn’t as beneficial. The thing I am wondering about is the sugar content. It’s my understanding that sugar is not added to coconut water, yet there is a high amount of sugar per serving. Is the sugar in coconut water bad for you? Is packaged coconut water something we should stay away from? These days, coconut water is a hugely popular. Is it just another form of unhealthy empty calories marketed as something healthy? Vita Coco just settled a $10 million class action lawsuit for claiming its coconut water was “super-hydrating” “nutrient-packed” “mega-electrolyte” “super-water,” yet independent testing showed that the actual electrolyte levels were a small fraction of what the label advertised. Earlier this year a study in the Journal of the International Society of Sports Nutrition compared coconut water to a manufactured sports drink and found no difference between the two in terms of hydration or exercise performance, and in fact those drinking the coconut water reported feeling more bloated and experienced greater stomach upset–and the study was funded by the Vita Coco! LOL. As a weight loss surgeon I once saw a similar event with mango. That being said, the danger is with not chewing the food. Mango and broccoli are fantastic post operative food and highly recommended. Your book is starting to wake my spirit up. I’ve been looking for an answer via medicine for so long…and your words have inspired me to first search my plate for the best cures out there. Would like to know if you recommend the plant-based diet for gastric bypass patients (i.e. doctors say avoid beans/broccoli, etc…)? And if these patients have Hashimotos should then also avoid gluten, night shade plants, grains and/or soy? I just started reading your book and am on Chapter 5 (AUDIBLE). Was just hoping to get some direction so I can start implementing this. I know your cookbook isn’t coming out to later in 2017 but besides lighter.com do you have a starting meal plan for folks like me who realize it’s their diet that needs to change so real progress can occur? Does anyone know anything about SIBO (small intestine bacterial overgrowth?) What to do for it, that is not Toxic, like antibiotics. Also, I am a metastatic breast cancer patient, so I try to eat only plant-based, mostly legumes and cruciferous veggies and the like, and those are the very things that seemingly contribute to the whole bacterial problem. I don’t know how to effectively treat the SIBO AND address my cancer concerns. Any help would be greatly appreciated. Thank you. christine: Your question is now on three pages. No need to keep posting. :-) I’ll forward your question to our volunteer medical moderators. We do not have enough volunteers to get all questions answered, but at least your question will be in the pile. Good luck. I have spent the last 3 days trying to find out what to do. Gosh, I would be SOOOO thankful if Dr. Greger could address this! I apologize, Thea. Thanks for any way you can help me get answers. christine: Yes, I picked up on the desperation. Posts like yours break my heart. You are not the only person to ask about SIBO. I have asked that SIBO be put on the NutritionFacts Future Topic List if it is not already there. However, that does not help you right now. I am not an expert in anything nutrition. (I’m just a lay volunteer moderator.) However, I did a quick search to see if any of our medical moderators had answered anything about SIBO in the past. Here’s what I would like you to note about two of the answers I found (copied below): Both answers say that eating a whole food, plant-based diet like the one that Dr. Greger recommends (ie, the Daily Dozen – which I can share more about if you are not already familiar) is the way to go. This is good news indeed, because such a diet is the same diet that is great for lowering risk of breast cancer recurrence, your other concern. Note that while we don’t have much about SIBO on this site, we do have a LOT about cancer in general and breast cancer in particular. It sounds like you may already be familiar with this information, but I recommend reviewing what we have on this site to see what you can do to tweak your diet to meet your special concerns. Here is a place to start: http://nutritionfacts.org/topics/breast-cancer/ . 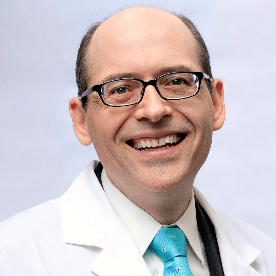 Another option is to get Dr. Greger’s book How Not To Die, which has an entire chapter on breast cancer as well as a detailed explanation of the Daily Dozen: https://www.amazon.com/How-Not-Die-Discover-Scientifically/dp/1250066115/ref=sr_1_1_twi_har_1?s=books&ie=UTF8&qid=1490134919&sr=1-1&keywords=how+not+to+die . “Unfortunately SIBO can be very difficult to treat and antibiotics like Rifaximin often take several courses before the bacterial overgrowth is gone. The reason for this is that unless the underlying cause for the SIBO is addressed the bacteria simply overgrow again after the antibiotic course is finished. That being the case you’ll need to look at what the likely contributing factors to SIBO are in your particular case and address those. This is a discussion you’ll have to have with your doctor since he/she knows your complete history but based on what you have told us here your chronic constipation is likely to be at least one of the contributing factors for you. When someone has chronic constipation or slow intestinal transit time, bacteria that normally live in the colon proliferate and migrate up into the small bowel. Slow transit of intestinal contents also shifts the PH in the intestines disrupting the homeostatic environment and encouraging the growth of bacteria in places like the small bowel where there would otherwise be minimal bacterial presence. You said that when you eat oat fiber it seems to help your condition. That makes sense because anything that increases your transit time will likely make you feel better. You also said that you can’t “digest” fiber because you become bloated gassy. It’s not the fiber that’s creating the gas it’s the overgrowth of bacteria that cause the gas. Is it okay to respond to the person who wrote “below” you? I don’t know how to get back to “Katie”, specifically. I think she may have gotten me mixed up with someone else possibly? I have NO constipation, and NO diarrhea whatsoever. In fact, I have NO symptoms, except that I look like I am 6-7 months pregnant. I would let that go, but I am concerned that I might be allowing damage to occur to the lining of the intestines. Thank you, Katie. If you would like to modify your remarks in light of that information, I would be very grateful. Christine: I’m sorry for the confusion. I need to clarify: Neither of the two medical moderators I quoted have replied to you directly. I put your post in a list with other questions from our site. No one has yet replied to your specific question. What I tried to do to help in case you don’t get a reply (since we don’t have enough volunteers to help every person) is see if I could find SIBO-related questions/answers on our site that happened for *other* people and share those answers with you. Even though the details of the reply may not apply to you, what I was hoping you would pick up is that two different medical moderators felt that a whole plant food based diet was actually appropriate for a person with SIBO. That advice seems to go against what you have been reading elsewhere. I thought that seeing those answers might help you evaluate the advice you have been reading elsewhere concerning say beans. Now, I’m not a doctor nor expert of any kind, and as I said, those answers were not for you specifically. However, I thought you might be able to take that thought (SIBO and whole plant foods may actually go together well) and run with it. Since I’m not an expert, you can take that idea for what it’s worth. One more idea for you: Dr. Michael Klaper is a well known plant based doctor who gives phone consultations. I don’t know how much experience he has with SIBO in particular, and his services are not free. I’m just thinking that working with Dr. Klaper might be worth trying as you need someone who understands nutrition and what you find on random websites and from most doctors is often lacking. Dr. Klaper *may* (I don’t know) be able to give you knowledgeable advice specific to your dual conditions. Thank you for your patience with me. I am not at all familiar with “blogging,” I don’t do FB, or any other kind of social media, so I apologize that I am unaccustomed to the protocol. Thank you for taking the time to clarify what I was reading. Viewed in the light you described, I see the value in those responses. (I have actually contacted Dr. Klaper’s office with an inquiry, and am awaiting a response). Since I have become a student of the “whole foods/plant-based” lifestyle, it is difficult for me to imagine that the way I eat now could possibly contribute to a potential disease-process. That being said, when I weigh that against what I am being told about the bacterial overgrowth in my small intestine, (and the potential dangers from that), it makes it pretty hard to reckon the two. But, yes, I agree; I need to find that proverbial “someone” who knows how to gracefully address the dual diagnosis so as not to aggravate either condition. Pray for me! Thank you again for taking the extra time to elevate my inquiry a bit higher by sending related information. All much-appreciated. Very kind of you, Thea. I genuinely appreciate your personal response. From the time I was diagnosed, I have spent nearly every day of my life researching and learning all that I can. I follow dr. G’s reccomendations almost to the T. I’ve read just about everything under the sun on the subject of metastatic breast cancer. Anyway, with this new development, all the standard dietary recommendations fly in the face of having bacterial overload. Therein lies the dilemna. Since methionine is an essential amino acid for humans, if you tried to starve cancer of it by restricting it in your diet, who would get the methionine you ate first, the cancer, or you the human? Does anybody know? I ask because I have two different kinds of cancer, both labeled incurable, and I recognize that cancers not only require methionine, they require sugars and starches (which become sugar after you eat them) and if you eliminate sugar, starch and protein from your diet in an effort to starve the cancers, what do you have left to eat? Is it possible for a human to exist solely on a diet of green leafy veggies? I was very blessed in a way – my surgeon was VERY explicit that all food must be chewed thoroughly before swallowing back in 2000 – and for me I had no complications & in the beginning I lost all of my weight and then a little. But it was still the SAD & my “vices” returned and after a few years my weight started to pile back on. It would be nice if you did a small video on supplements (Iron & Calcium specifically) for people that have had this surgery. I am always confused because no one seems to study the nutritional needs of gastric bypass recipients. The recommendation from my surgeon was to take 1200 mg of Calcium & 18 mg of Iron & a prenatal vitamin a day. But I’m worried that its too much. I am “almost” Vegan (honey, Diet Pepsi & Stevia are my downfalls), and my only “fats” are from nuts. No added oil. Thank you!